A big misconception among many people is that 3D printers are too expensive. Sure, this was the case a few years ago but that’s just when 3D printers were only reserved for scientific and Engineering projects. Now, 3D printing is more of a hobby with several manufacturers taking up the production of 3D printers. What we have seen as a result is a huge competition for a market which has seen a sharp decline in the printer prices. Now it is possible to get an excellent printer at less than $500. Of course, you may not be able to compare their performance with the more priced printers but you will be able to print your models just as good. Unfortunately, the reduction in prices has not been without its downsides. For instance, the market is now flooded with substandard products by conniving manufacturers. But that is what we are here for. Our purpose is to conduct all the market research and present you with the best products that have the least likelihood of disappointment. 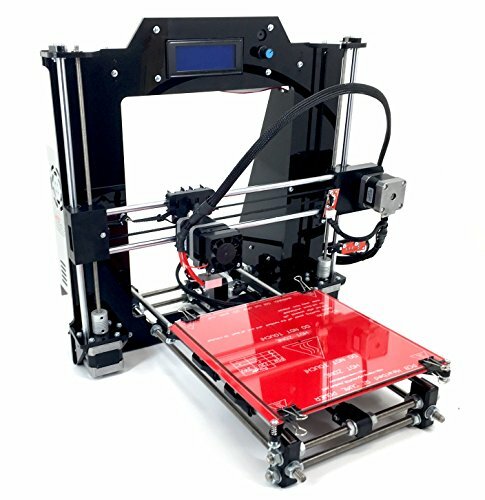 And we will start off by giving you the factors to consider when buying a 3D printer. One of the biggest limitations with most budget printers is having to do the assembly yourself. Not the Monoprice printer though. This printer comes already preassembled and calibrated by the manufacturer. And it does not end there. They also provide you with a free PLA sample filament and a memory card with printing models so that you can start printing right away. 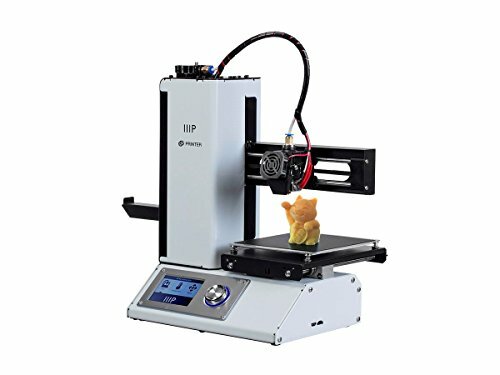 The Monoprice Select Mini 3D printer features a 120x120x120mm build plate and can use any type of filament ranging from the most common, ABS and PLA to the more advanced materials like wood, metal, or dissolvable PVA. This is because on top of the extractor temperatures the build plate has also been heated. It then uses a nozzle cooling fan to cool the melted filament. The 3D printer also spots a Micro USB port and will work seamlessly with any PC or Mac computer. In addition, it supports a wide variety of software like Cura and Repetier that will largely ease the printing process. You are also bound to love the compact design that makes the Monoprice printer space friendly. The FlashForge Finder is another 3D printer I will highly recommend and one of the things that I loved about it is its futuristic approach. It supports wireless communication through a second generation Wi-Fi connection which means you can send printing models directly from your device to the printer. The printer comes with an 8GB internal memory. 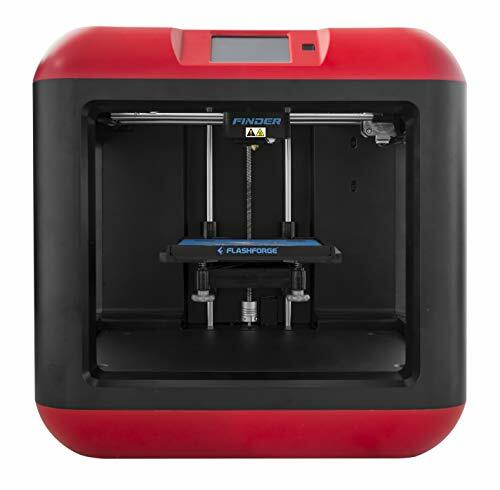 Moreover, this FlashForge printer can be linked to the cloud which allows you to store, edit and share your printing models online but most importantly, it gives you access to a wide database of print models. Even though you will have to do the calibration yourself, FlashForge Finder comes with an intelligent leveling system that guides you through the process through well-articulated messages on the touch-screen display. Speaking of which, the color screen is a great addition that facilitates easy operation of the printer. The Finder’s build plate is non-heated and features a slide-in mechanism which makes the whole process of removing your finished prints a whole lot easier. Another mentionable feature is the printer’s soundlessness while printing. None of that irritating whirring sounds from this baby. The decision by manufacturers to use plastic alloy in the construction of the FlashForge Finder printer was also a wise move that results in more stable prints. 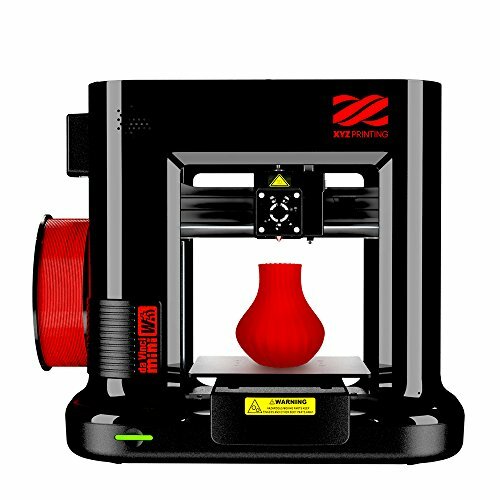 The da Vinci Mini Wireless 3D printer is the smallest and cheapest of the da Vinci series of printers but it will not run out of ways to impress you. Nevertheless, the 5.9″x5.9″x5.9″ build plate is sufficient to handle larger and finer prints. 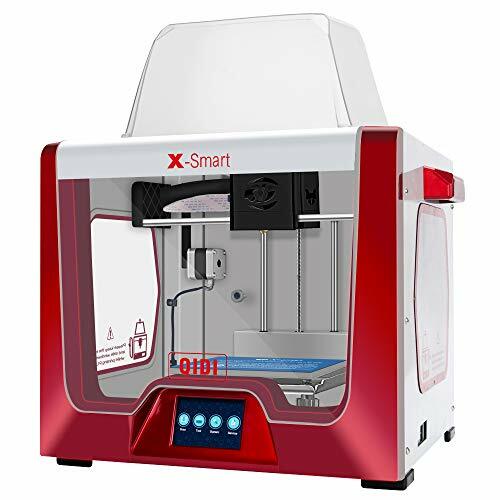 The manufacturer of this printer, XYZPrinting, even allows you to upgrade to their hardened steel nozzles that will enable you to print more intricate stuff by using metallic or carbon PLA filaments. This is one printer I would highly recommend to 3D printing beginners and here is why. For starters, the printing process has been minimized to just a single button. And then there is the colored LED display that shows the printing status. Moreover, the calibration process is automated and therefore requires no skill. Also, the CAD and Slicing software that comes with the printer has an easy to use UI to guide you through printing. The XYZMaker 3D modeling design software is available for free download and allows you to get creative as you design your own print models. I should also mention that the da Vinci printer has wireless capabilities and can, therefore, be connected to your home network for easy sharing and printing. Also included in the packaging is a 3D eBook to get you acquainted to 3D printing. Purchasing this printer will give you access to their over 30 ready to teach online lessons and an online community of like-minded designers who were generous enough to share over 3000 print models that you can download for free. If you are one of those people who like to test their handiness then you will enjoy this DIY RepRap printer kit. You won’t be doing the hard stuff like drilling, cutting and soldering parts but at the end of the assembly process, you will have a better understanding of the 3D printing concept and will be better suited to modify the printer for more effective printing. This printer has perhaps the biggest build plate on our list measuring an impressive 8″x8″x7″. It also comes with a w/SD card slot which eliminates the need for a computer as you can easily print your models from an SD CARD. Among its other highlight features is the 1.75mm extruder that allows the use of various filament materials including metal composites and dissolvable PVA. And now for the best part. In case you have any trouble operating or assembling the printer, you have the option to return it in exchange for a full refund with no questions asked. However, I doubt there will be the need for that especially since you can always contact their USA tech support who are specially trained to handle any snag you might hit. You won’t have to pay anything for their assistance. And now to the last budget 3D printer but by no means the least. The X-Smart Intelligent printer by Qidi Technology. This printer comes with WI-Fi support and also features an intuitive 3.5″ display to aid in its operation. The build plate measures 5.9×5.9 inch which is decent for home use and also by beginners. The use of an all-metal hot end that is completely enclosed means you can print using PLA, ABS, TPU and much more. It also aids in giving the printer better stability compared to if it were plastic. The printer’s build plate can be removed after use which is always a nice addition. The manufacturers have also improved on the extruder by incorporating a four-side blowing fan which hastens the cooling considerably. Qidi Technology boasts of having a very responsive support team and encourages you to contact them in case you have any issue with your printer. On top of that, they offer you a 6 months warranty for the printer.